Formerly M&M / Ducky Bob's, we're now Marquee! We offer the same committed staff, services and products you trust for your events but with a new look, new leadership and locations throughout Texas, the Midwest and Southern U.S. to support your next event. 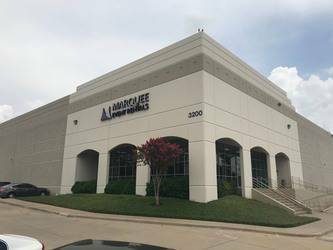 As a part of the nation’s largest full-service event rental company, Marquee Event Rentals Dallas is primed to deliver exactly what you need for any special event. With 7 locations throught the mid-west, our network of event professionals is focused on providing an expanding array of equipment and services anywhere for any event, including party rentals, wedding rentals, special event rentals and more! . From specialized structures to stunning tabletops, our coast-to-coast network of locations offers an extensive collection of rental inventory unmatched in the industry. Marquee Event Rentals offers a full catalog of equipment to ensure your event goes off without a hitch. Our offerings are extensive, with numerous options available for each of our party rental items. So if you need table, chair or dance floor rentals for a Dallas event, or require any of our other great pieces of equipment, be sure to reach out to us! With our breadth of inventory, tenured staff and dedication to complete customer satisfaction, Marquee Event Rentals has been able to establish and continue longstanding relationships with many notable institutions. From an event’s inception to its execution, our team of dedicated and detail-oriented event professionals provides unparalleled assistance. Whether you need table and chair rentals, tent rentals, dance floor rentals, or any other forms of equipment, Marquee Event Rentals in Dallas is committed to surpassing your expectations. Ultimately, there is no need to lose sleep over the details. If you can dream it, Marquee can deliver it!